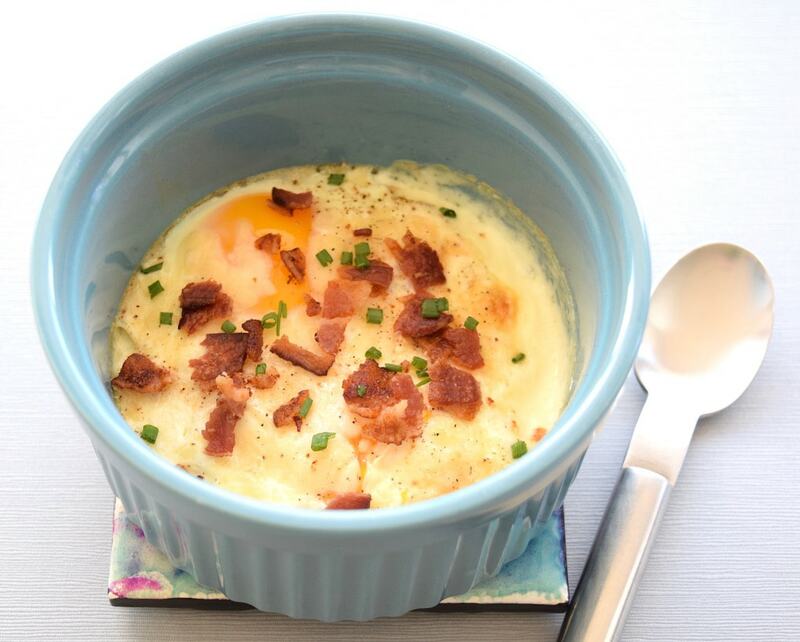 I had never, ever thought of making anything like this until my friend one day mentioned that he had a baked egg dish at a restaurant and he really liked it. That got me looking online. These are so easy to make, and there are a million ways to make them. I concocted this version for breakfast last weekend. They were basic and good, but I feel like a more elaborate dish would be even better. Note that I used two eggs per ramekin because ours are gigantic. While the oven is warming, grease the inside of your ramekins with butter or olive oil. Add a tablespoon of cream to each ramekin (2Ts for giant ramekins), then crack an egg over the cream (1 each, or 2 eggs for giant ramekins). Season the eggs with a little salt and pepper, then top with a divided amount of cheese. Last, add the chives. 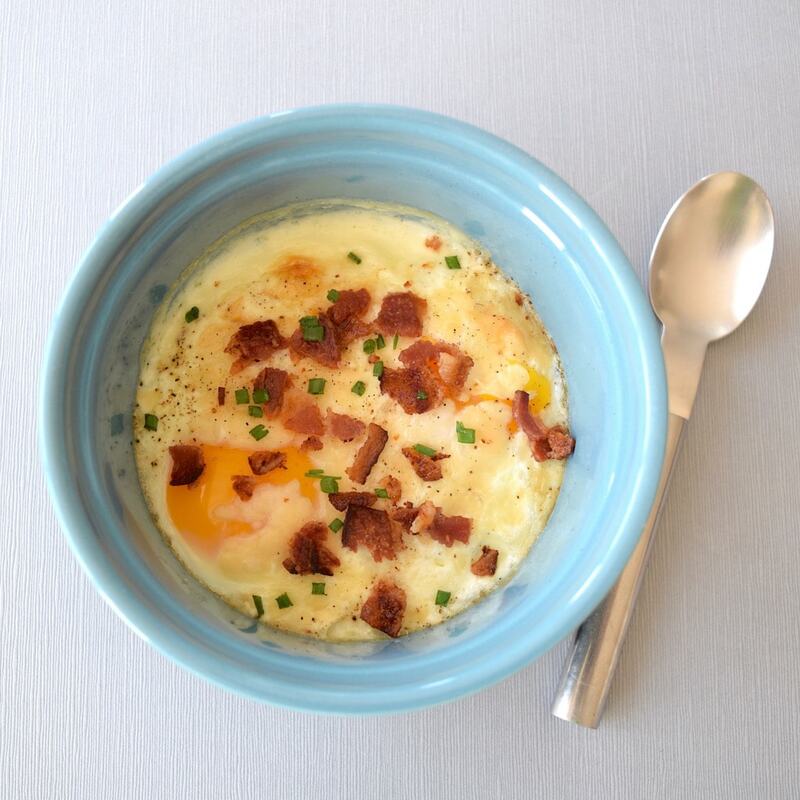 Put in the heated oven for 8-12 minutes—longer if you’re using two eggs per ramekin. They’re done when the eggs are just a little wobbly. Top with crumbled bacon and serve hot.